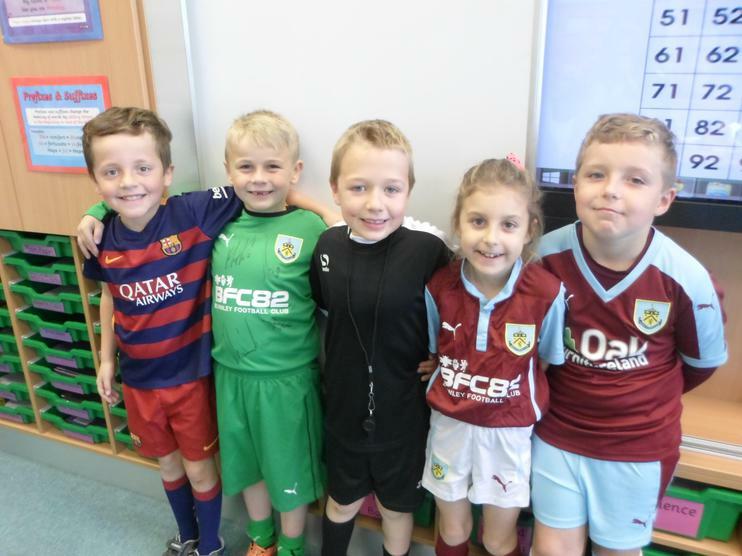 Today was our annual photo for our school calendar kindly organised by the PTA. 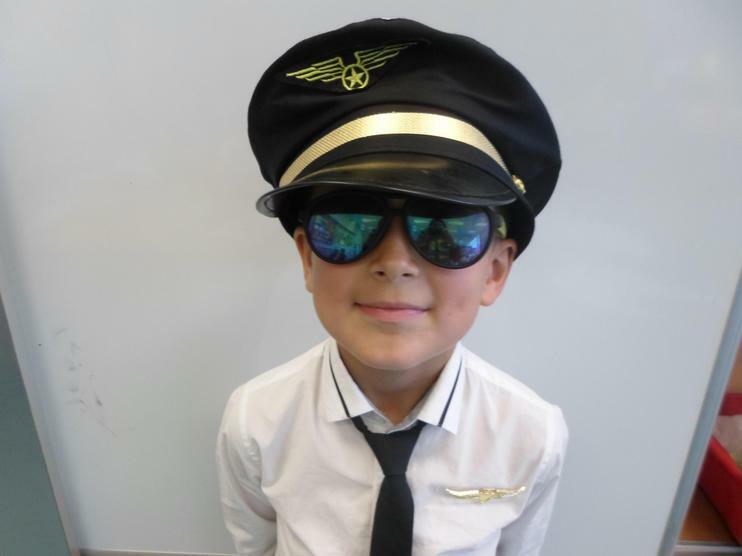 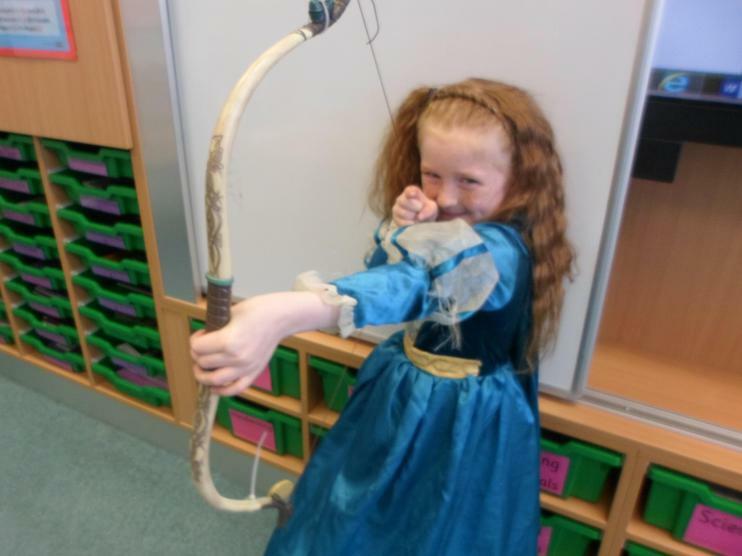 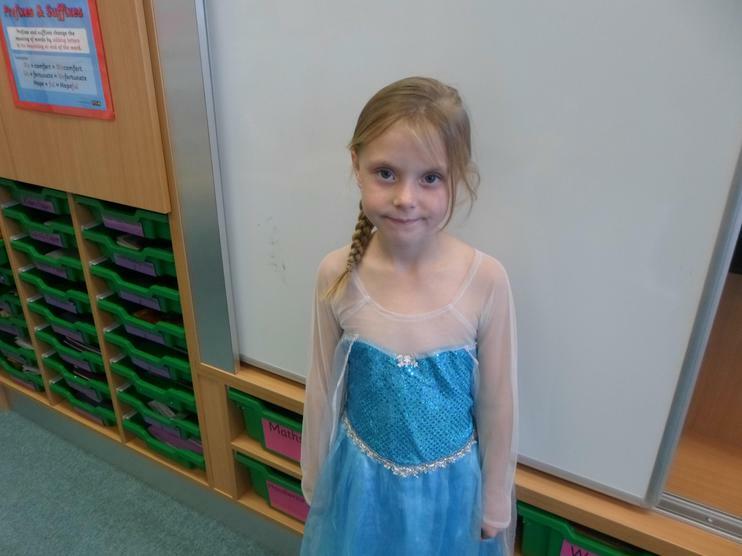 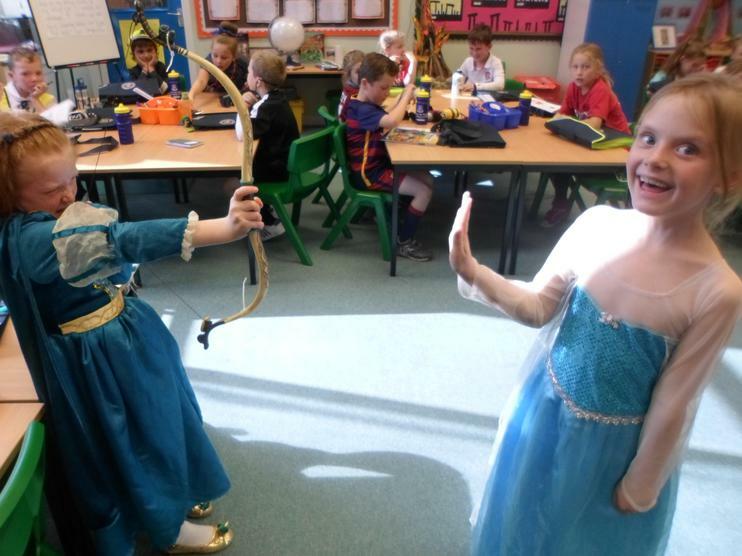 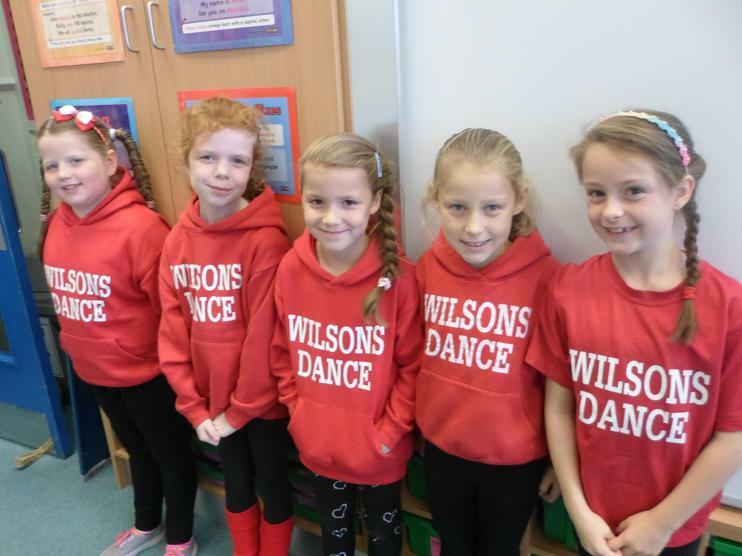 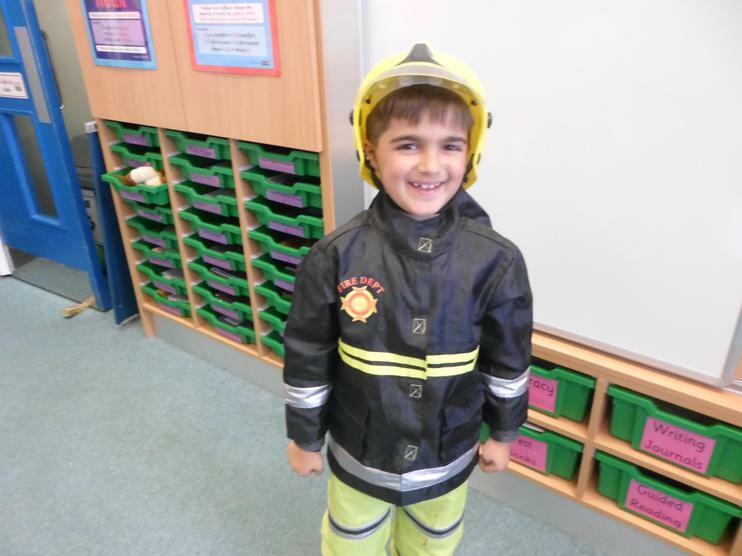 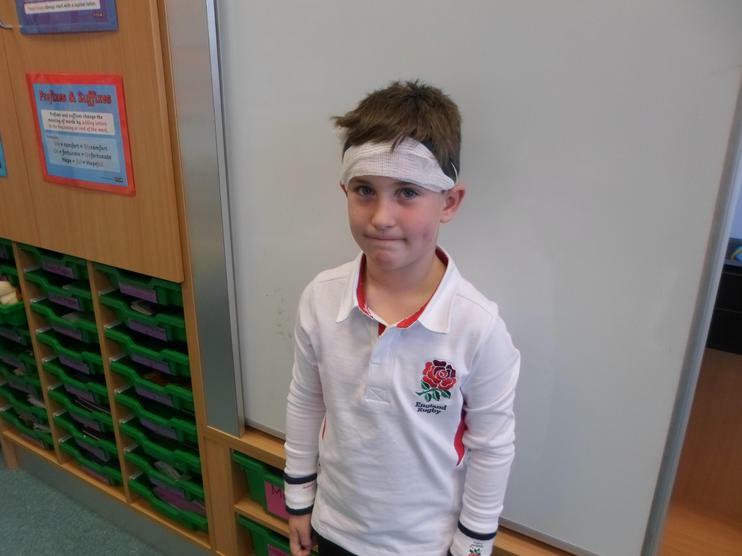 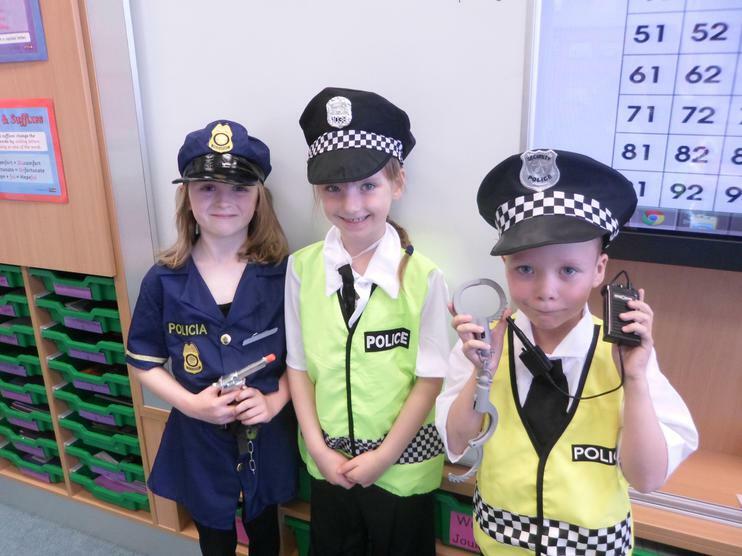 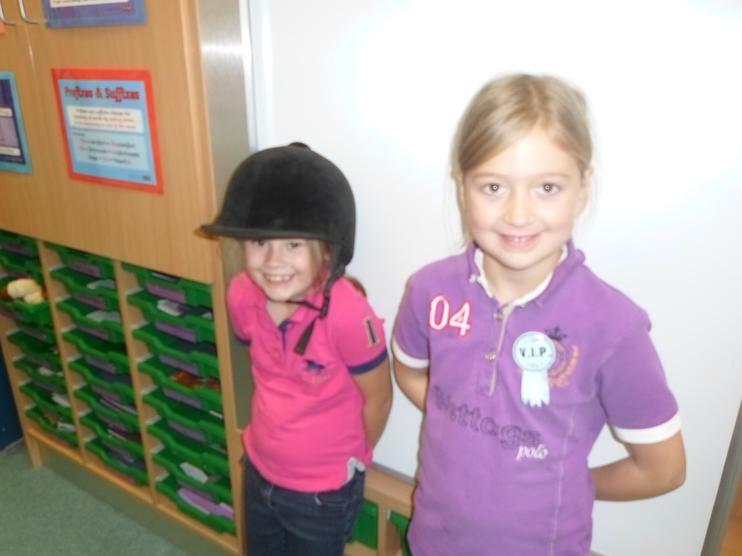 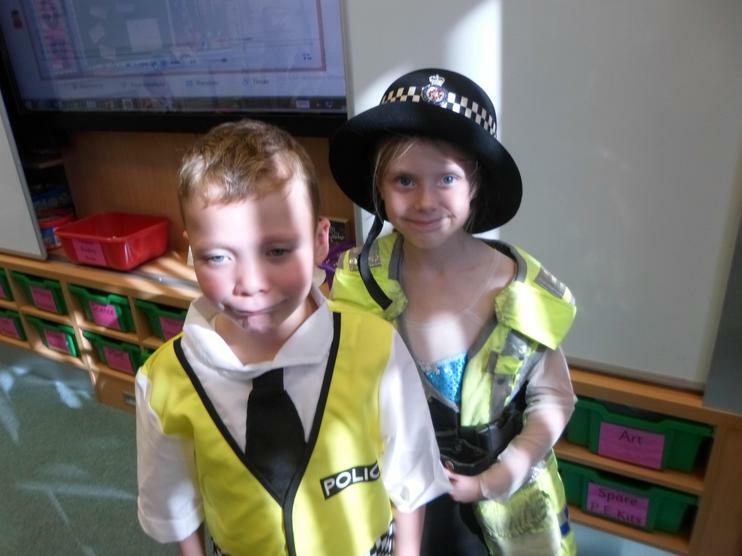 The theme this year was 'What do you want to be when you grow up' so we came to school in fancy dress. 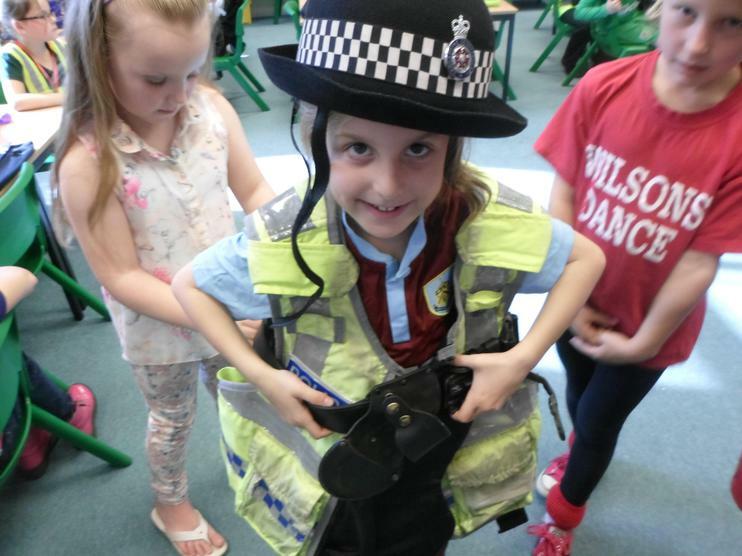 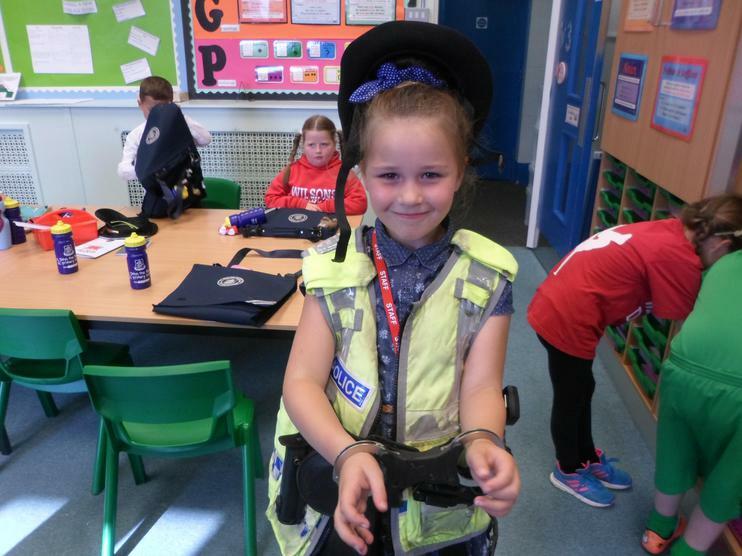 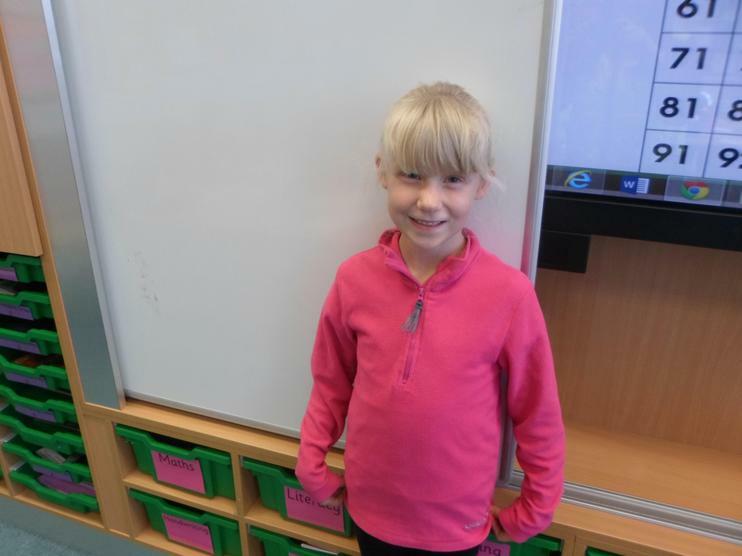 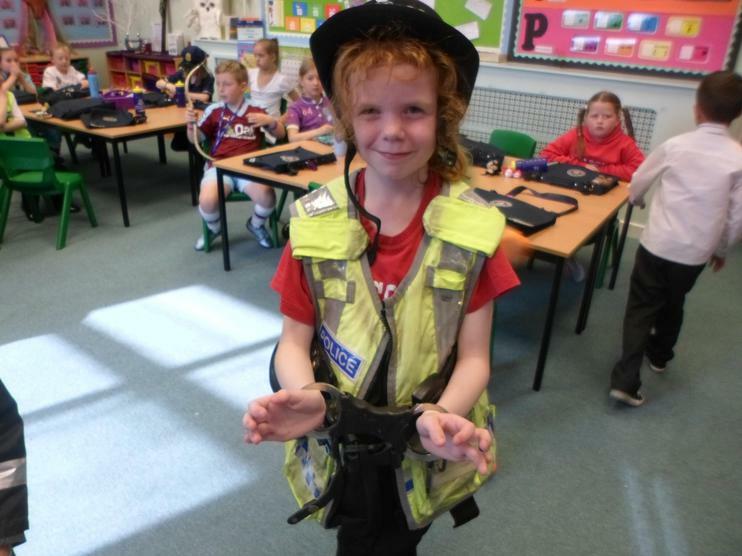 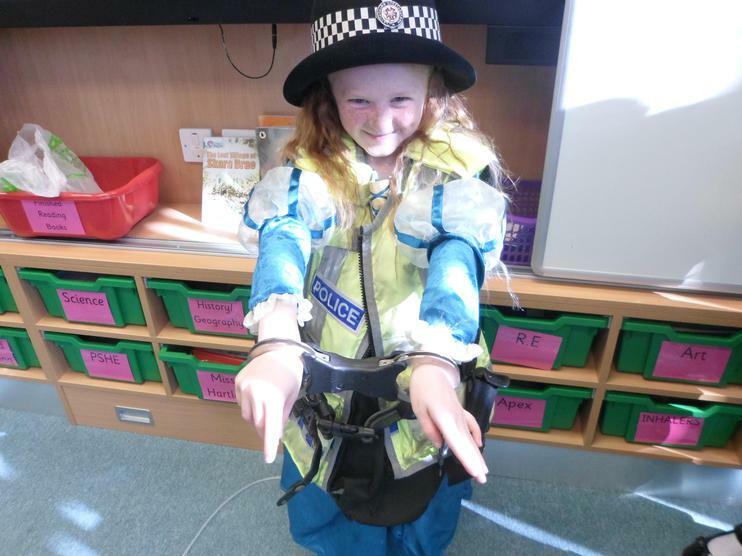 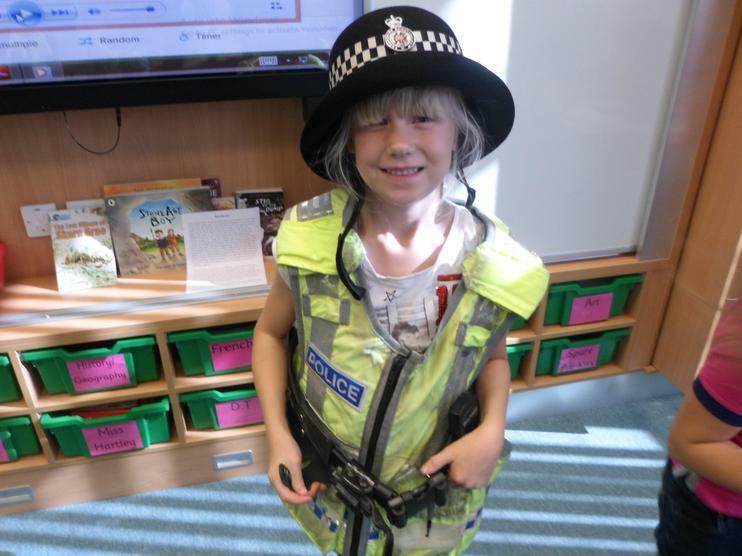 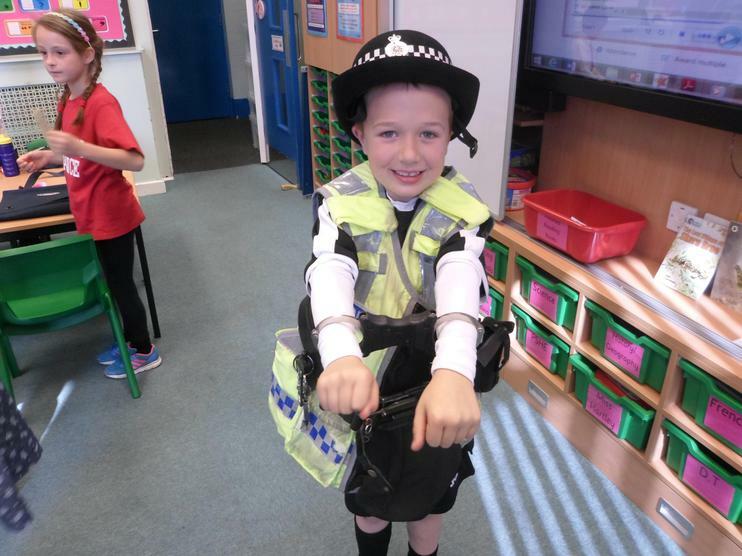 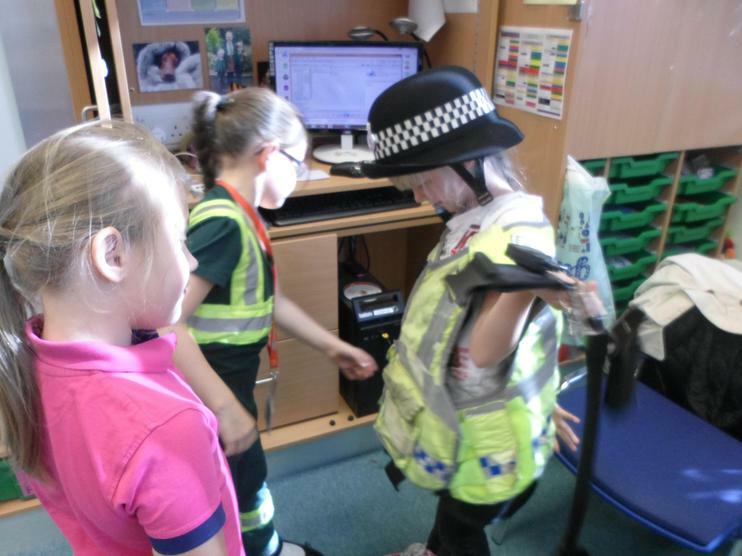 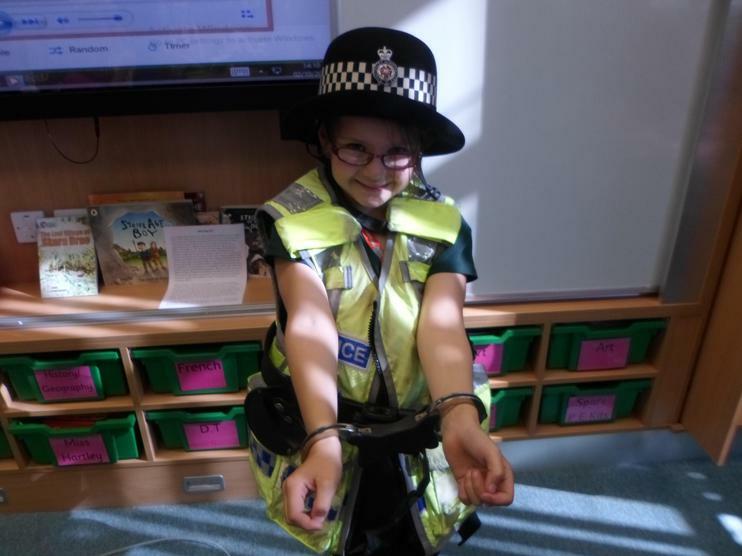 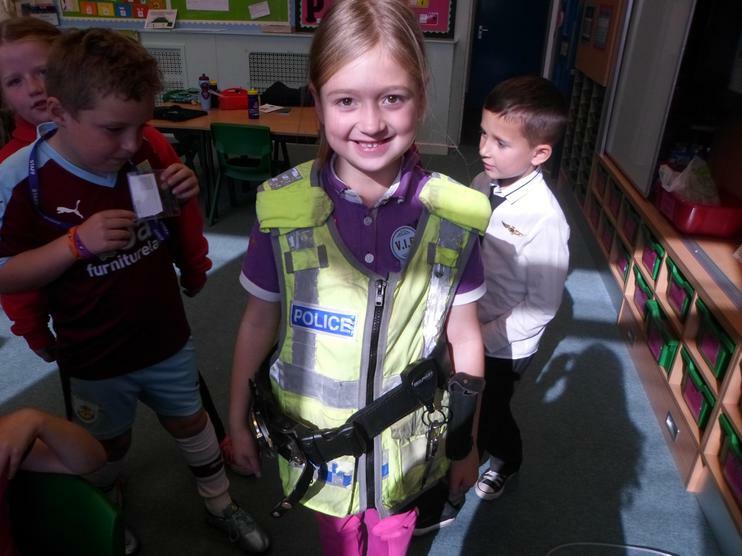 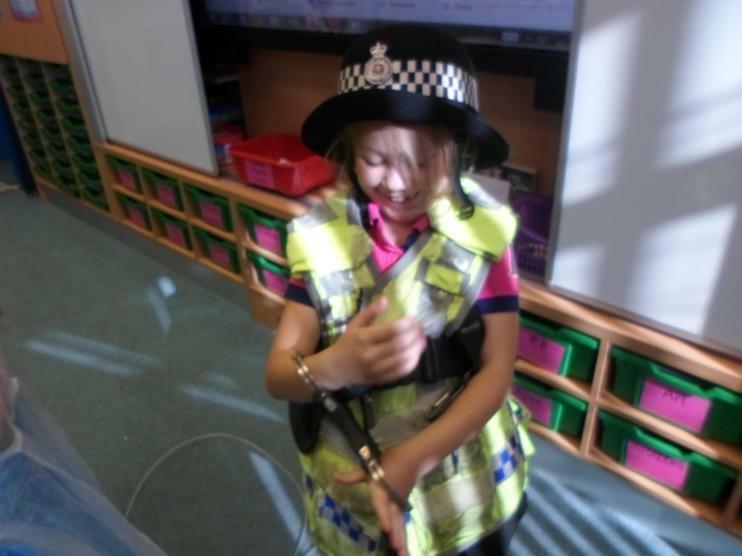 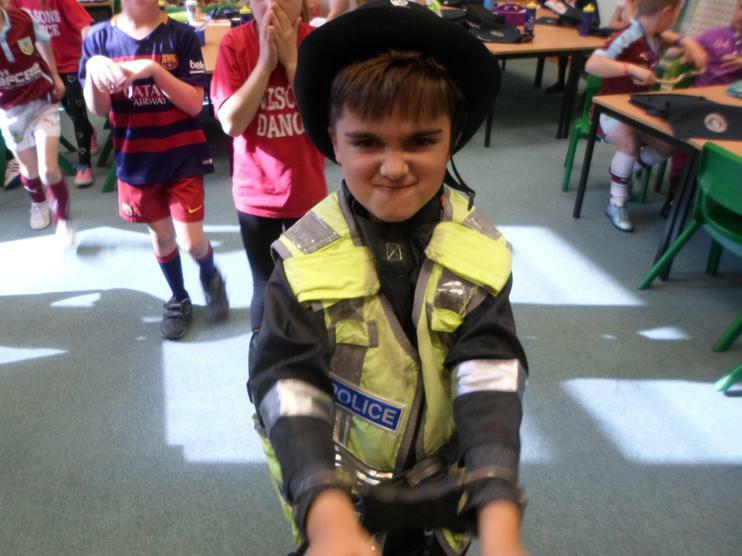 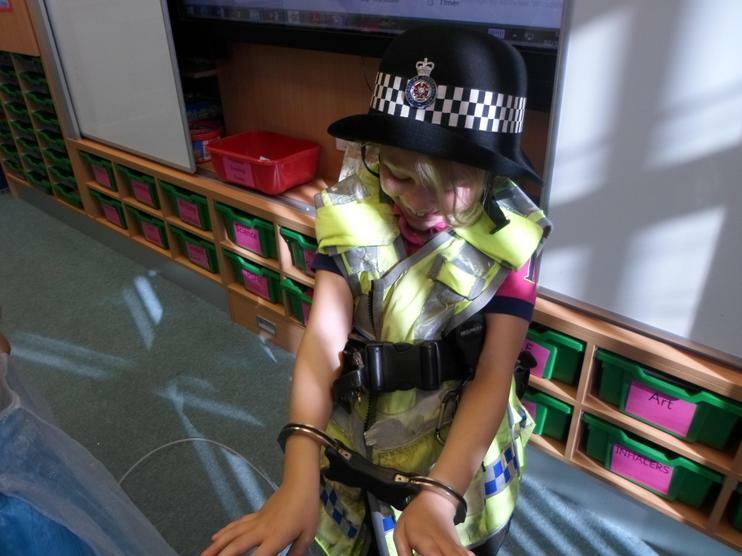 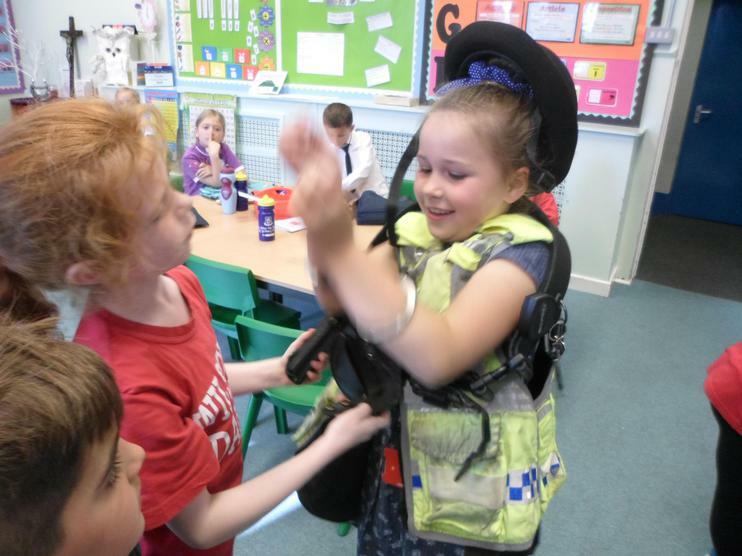 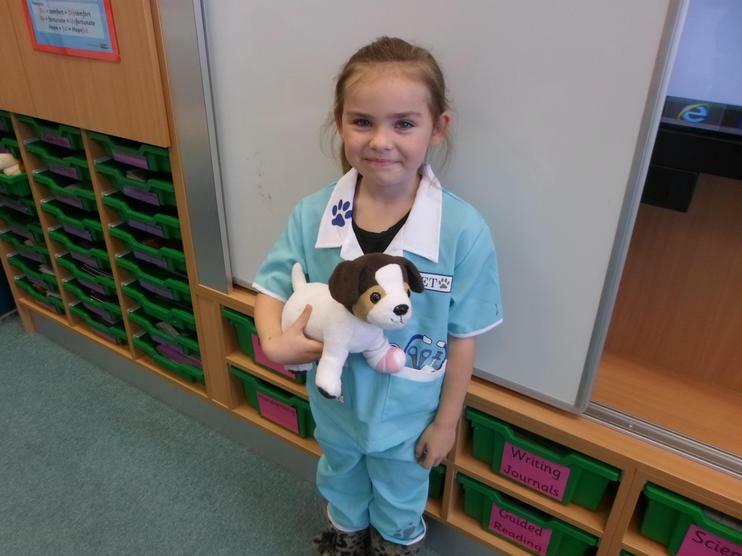 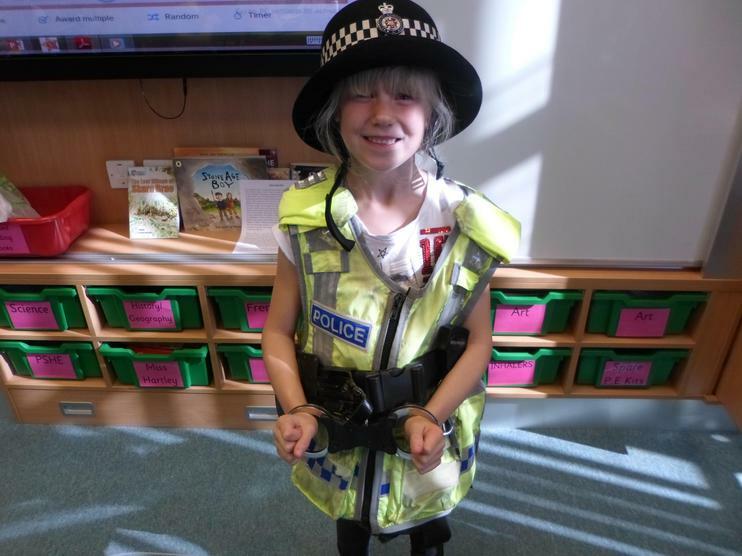 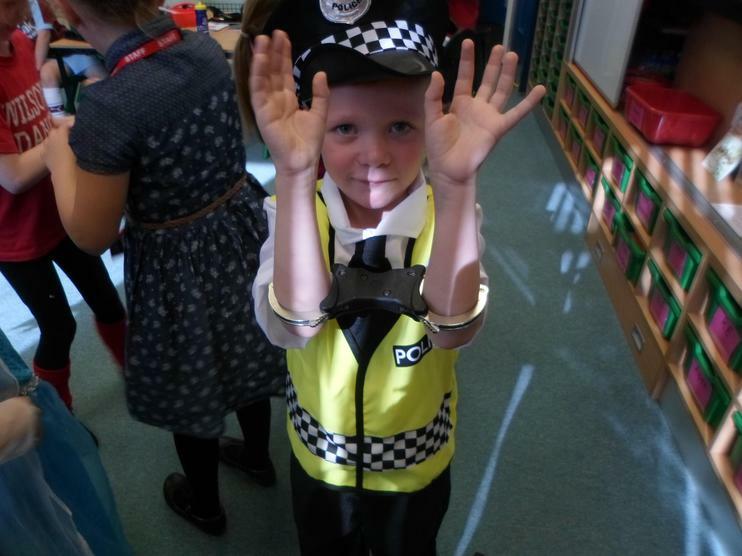 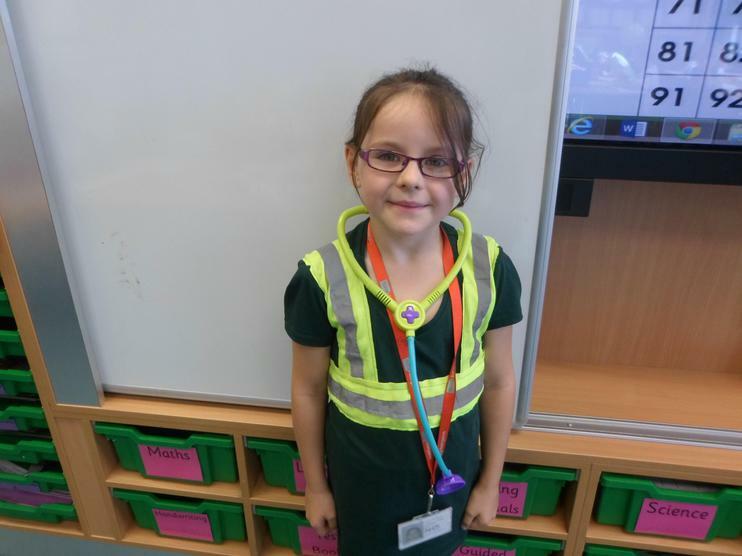 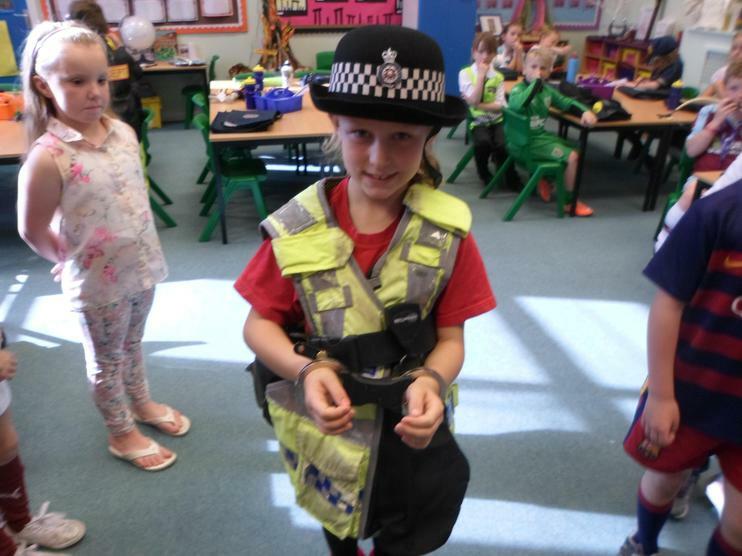 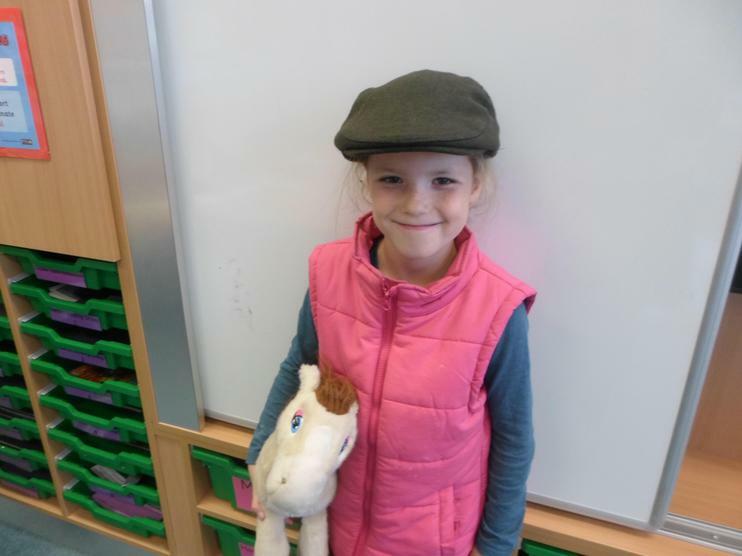 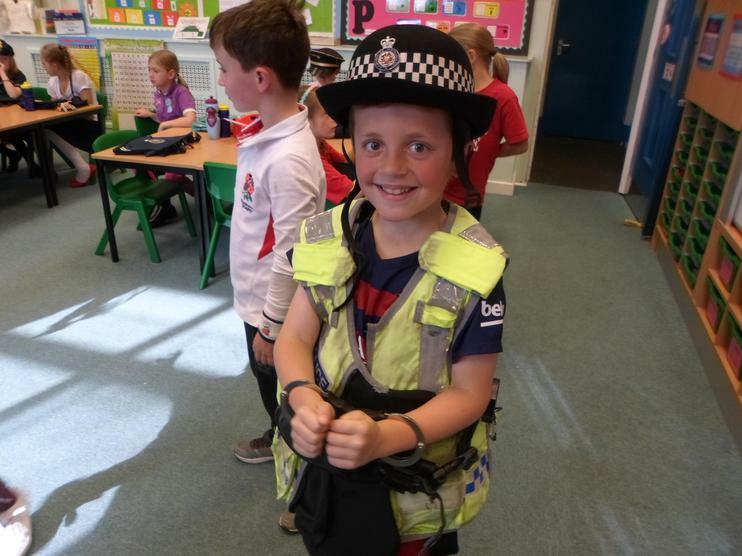 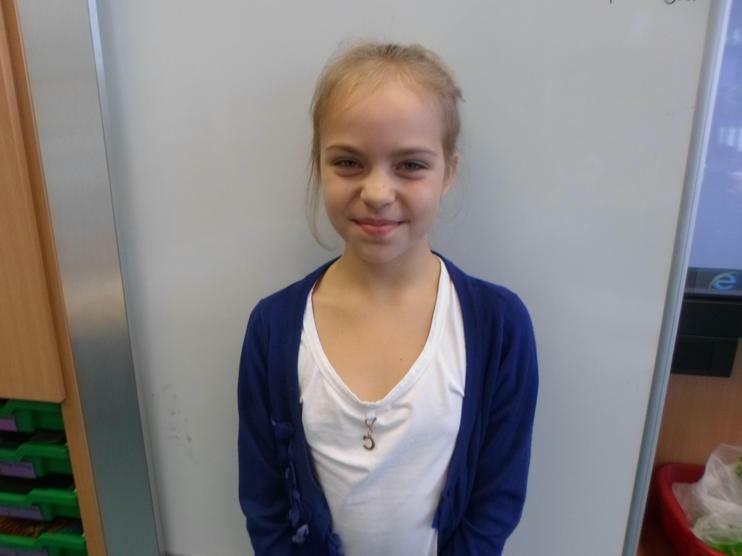 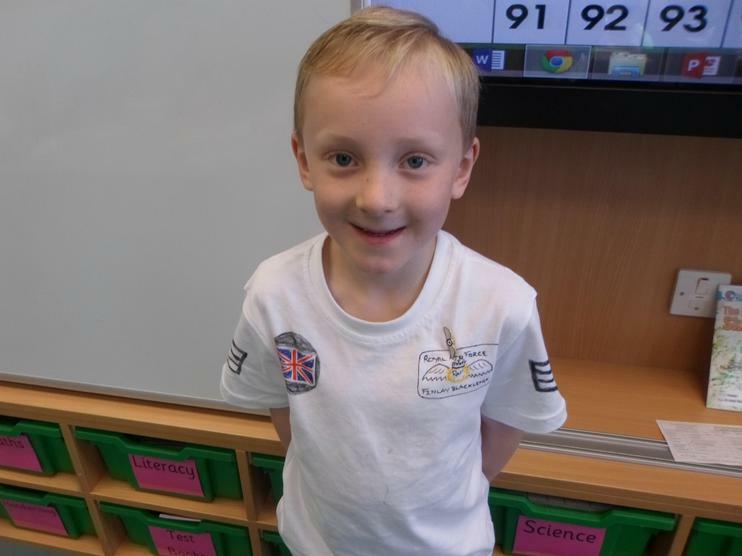 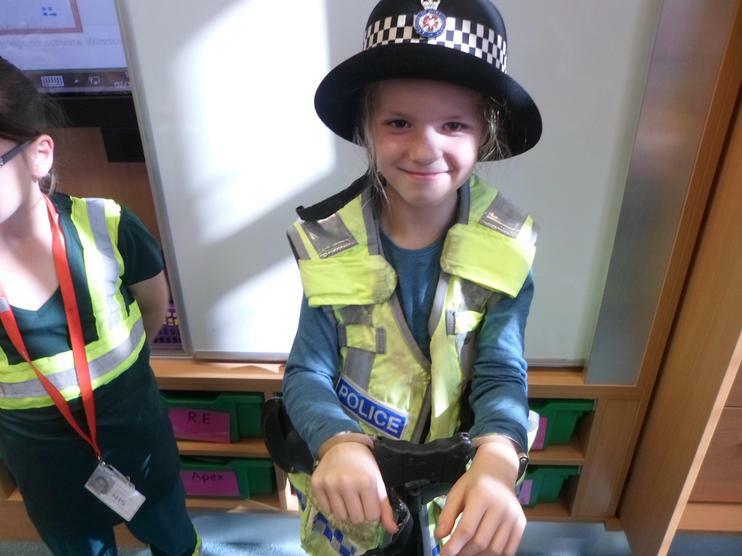 PC Roberts kindly lent Miss Hartley his uniform so she was very popular with all the children. 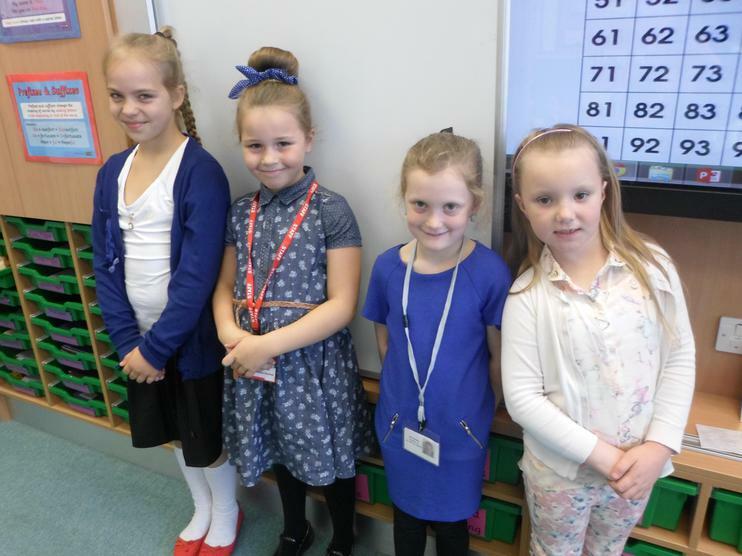 We all looked fabulous and had a wonderful day.